Christmas is round the corner and everybody is gearing up for not just its celebrations but also for an extended weekend filled with get togethers and family parties. And if you also have a list of parties to attend or to throw at your place, you must have started prepping your fancy winter wardrobe. But worry not, we've got you covered. 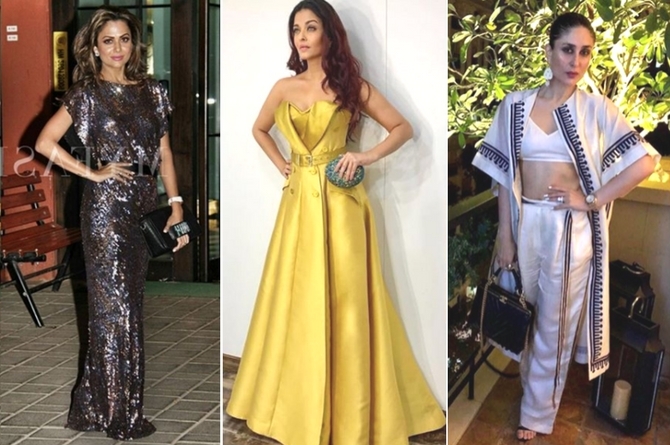 We bring to you some interesting Christmas party dress inspirations from some of the most fashionable mums in town. From skirts to dresses to bling to colour, they've got it all. So what's the wait; click 'Start Gallery' to check out some of the snazziest outfit ideas for this party season. Tabu FINALLY reveals the name of the person who has stopped her from marrying!